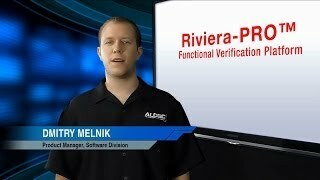 Riviera-PRO™ addresses verification needs of engineers crafting tomorrow’s cutting-edge FPGA and SoC devices. Riviera-PRO enables the ultimate testbench productivity, reusability, and automation by combining the high-performance simulation engine, advanced debugging capabilities at different levels of abstraction, and support for the latest Language and Verification Library Standards. Plot viewer and Image viewer tools for visual representation of large arrays of data.